In a move meant to address the growing number of teens vaping and using e-cigarettes, the state of New York is looking to impose its own ban on e-cigarettes next year. The New York State Health Department has issued regulations that will prohibit the sale, manufacture and possession of flavored e-cigarettes. According to the state agency, there is data supporting the claim that youth e-cigarette use has dramatically increased over the past four years. The cause of this rise in use? The abundance of e-liquid flavors. The agency reports that there are an estimated 15,000 different flavored e-cigarettes currently on the market. Flavors are wide and varied, ranging from apple, vanilla to more complex flavors like bubbleerazz and cream cookie. The number of high schoolers who vape has also increased over the years, going from 10.4 percent in 2014 to 27.4 percent in 2018, according to New York’s Health Department. 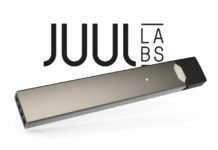 A state survey also found that 46 percent of teens prefer flavored e-liquids, compared to the 20 percent that purchase menthol and the 18 percent that prefer flavors like candy, sweets and chocolates. 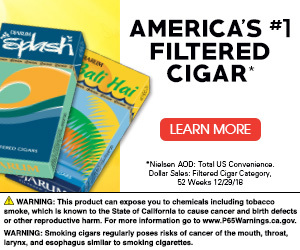 In addition to being concerned about the role flavors plays in the growing e-cigarette use, the state Health Department is also concerned about nicotine use and exposure for those using e-cigarettes. With many of the latest e-cigarette devices delivering high levels of nicotine, the agency feels this is another reason why e-cigarette use among teens has to be addressed, even if its as drastic as banning flavored e-cigarettes in the state all together. Any ban would be damaging not only to e-cigarette manufacturers but also to the state. The NYS Vapor Association estimates that New York has close to 700 vape shops that carry e-cigarettes. These vape shops account for 2,700 jobs which could be threatened if the state bans flavored products. While a plan has been submitted with proposed regulations, it was soon retracted and submitted through another round of legal review. Officials plan to resubmit it and the office of Gov. Cuomo indicated he is committed to getting it approved. Anti-tobacco groups have praised the proposed regulations, saying that it addresses a serious problem that requires urgent attention. They would like the ban to be pushed further though and apply to more flavored tobacco products, including cigars and menthol cigarettes. 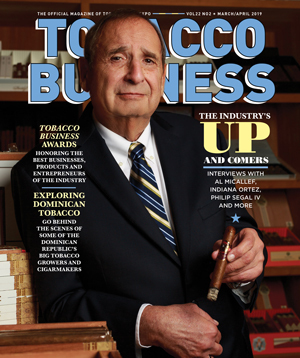 For all the latest legislation news impacting the tobacco industry, click here.